Yes, swatches lie. Well that is a bit harsh…really they can be a bit misleading. To start with there is the famous question, “Do I need to make a swatch?” Well only if you want to ensure that you meet the gauge of the pattern. 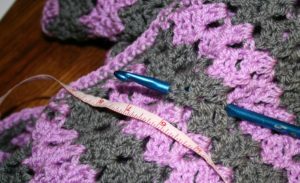 Gauge helps to ensure that the pattern comes out the same size, but it also ensures that your fabric has the same drape as that of the original design. If this is important to you, then yes, you need to swatch. That being said there are some road blocks that stop many people from making a swatch. 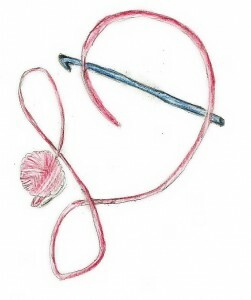 First there is no actual directions for making a swatch, the gauge lists the number of stitches and rows that fit the given measurements, but that is where the information ends. 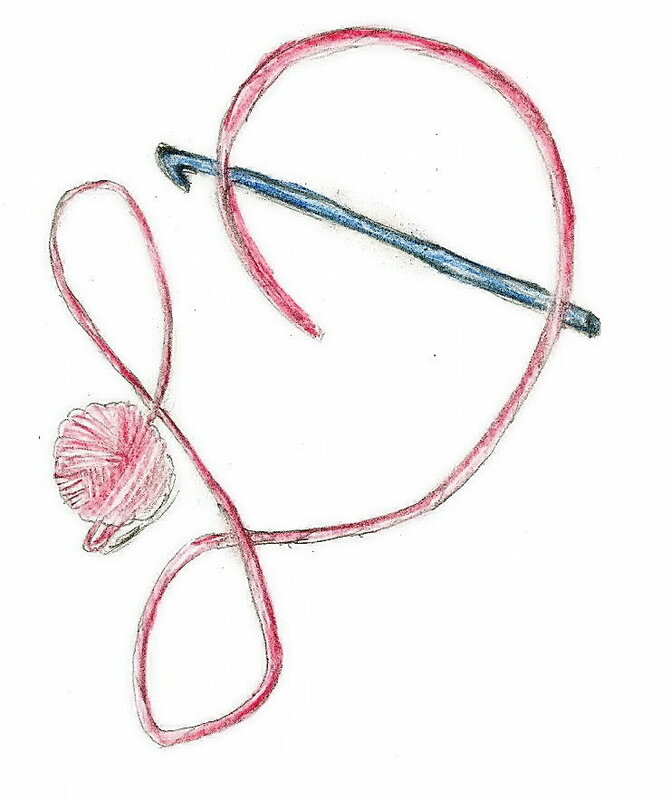 If you are a new crocheter this can be a bit difficult to decipher, as you need to read and understand your pattern and then make assumptions from this. One of the ways to make these assumptions is simply to make a chain longer than the given measurement for the gauge. By a rule of thumb add make the swatch at least 40% bigger than is measured, so if it states 4” (10cm), make a swatch of 5 ½” (14 cm). This is so you can take the measurement from of the stitches and rows without using the edges of the swatch, as the edges can distort the measurement. If the gauge gives a stitch pattern, work this in rows until the rows measure larger than the given measurement. However this is only step one. The next step to ensure you are getting an accurate measurement is to block your swatch. Essentially you want to treat your wash as you would the finished item, so if it is hand washed then hand wash, if it is machine wash then machine wash, and let dry. Now you can take the measurement and to ensure that you meet gauge, to proceed with your pattern. If you need to adjust your hook size to obtain gauge you will need to repeat the process in a new hook size and repeat. However here is the honesty, very few of us go through these steps. I know when I get my yarn I want to dive right in and get to creating, but sometimes I do have to pay the price for this. I may need to rip back and rework if things are not coming out as expected. So how can I find a happy medium between creating a swatch and just enjoying my crochet? My tip is to check my work regularly. I may block an item before I head to bed, after a day of stitching, and check my gauge in the morning. If it is on course I feel free to continue onward, if it is a bit off it is a day to rip back and begin anew. This may be a bit of a gamble in losing a day’s worth of work, but it keeps me enjoying my stitching while still being happy with the outcome. This entry was posted in Crochet Understanding, Encouragement, website and tagged block, blocking, chain, change, Crochet, dean, Design, drape, gauge, hook, hooks, ideas, inspiration, linda, Linda Dean, linda dean crochet, measuring crochet, pattern, stitch, Stitches, swatch, Yarn by webmaster. Bookmark the permalink.